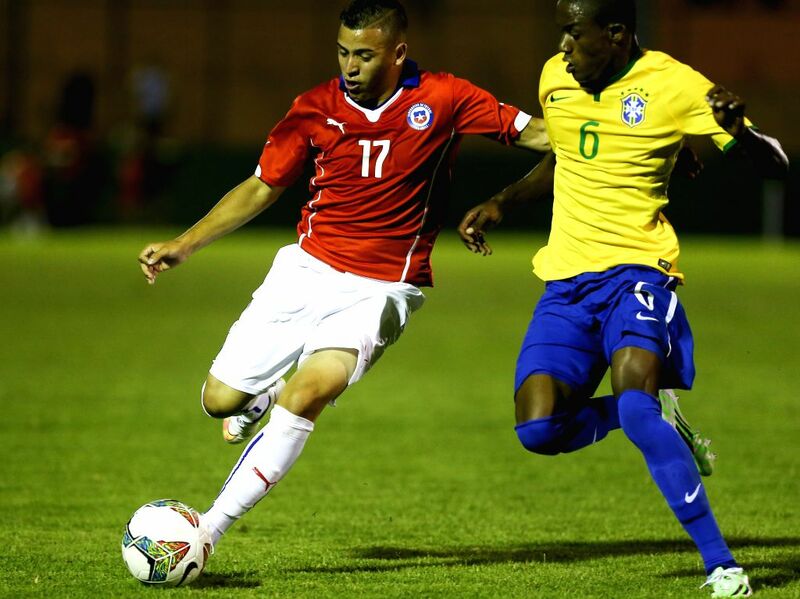 MALDONADO, Jan. 16, 2015 - Brazil's Marcos Caju (R) vies with Chile's Matias Ramirez during their South American U-20 football match in Maldonado, Uruguay, Jan. 15, 2015. Brazil won 2-1. Brazil's Marlon (C) celebrates scoring during a South American U-20 football match against Chile in Maldonado, Uruguay, Jan. 15, 2015. Brazil won 2-1. 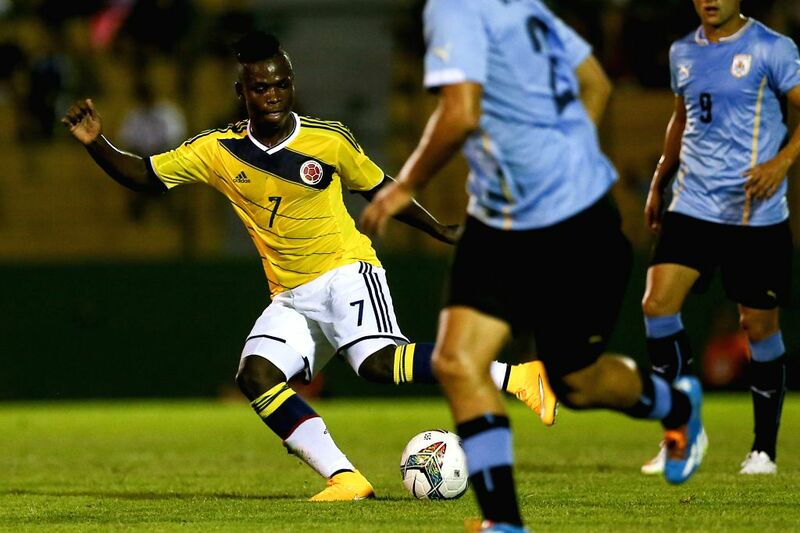 Colombia's Deinner Quinones controls the ball during a South American U-20 football match against Uruguay in Maldonado, Uruguay, Jan. 15, 2015. Uruguay won 1-0.